Length Range: 16 - 33 ft.
By comparison, choosing the perfect heavy-duty pickup truck is a lot easier than picking the perfect runabout. There is Ford, GM, Chevrolet and Dodge, and reading those brand names, you’ve probably already got a good idea which one you’d pick. With runabouts, the field is more wide-open, and the options are more plentiful. For starters, let’s define what a runabout is—and most likely, it’s what you picture in your mind of when you think of a recreational powerboat. A typical runabout measures from 16 to about 33 feet, comes with sterndrive or outboard power, often has a pointy or pickle-fork, open bow with seating and a walk-through windshield. Sure, there are deck boats that try to look the part, and cuddy cabins that try to horn in on the segment, but those are not runabouts. Those are, well, deck boats and cuddy cabins. 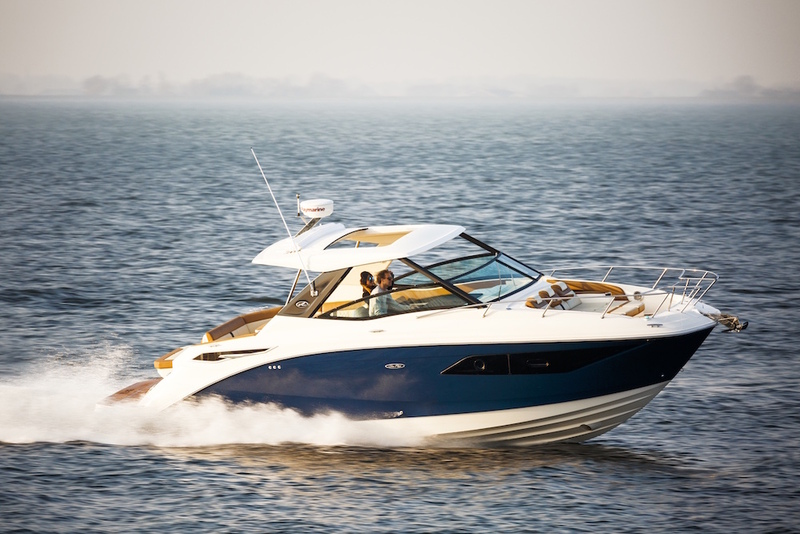 When choosing the perfect runabout, consider these factors: usage, price, and power and propulsion systems. Now, the first criterion for choosing a boat is knowing how you’re going to use it. Do you have kids who like to ski and wakeboard? 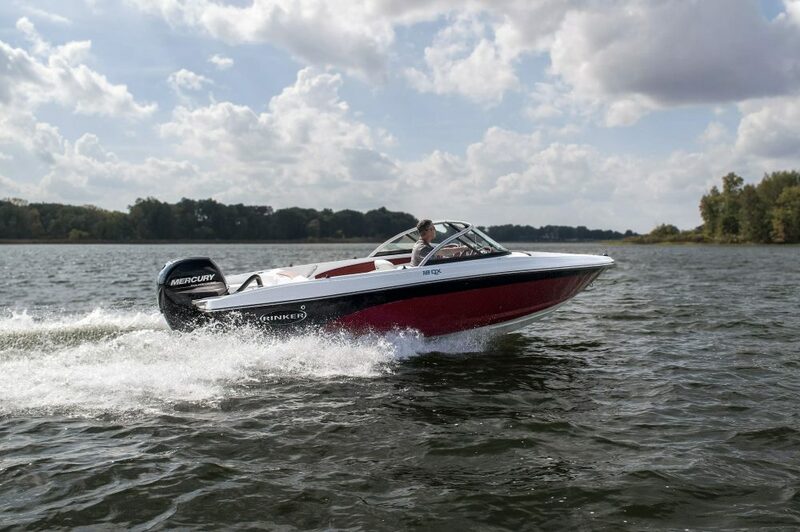 If your kids are passionate about watersports, you might want to opt for an inboard tow boat, but bear in mind modern runabouts with sterndrive power can really be tailored to water sports. Four Winns’ Surf Series and Monterey’s Surf Edition runabouts have made great use of Volvo-Penta’s forward drive to get great wakes from a sterndrive setup. 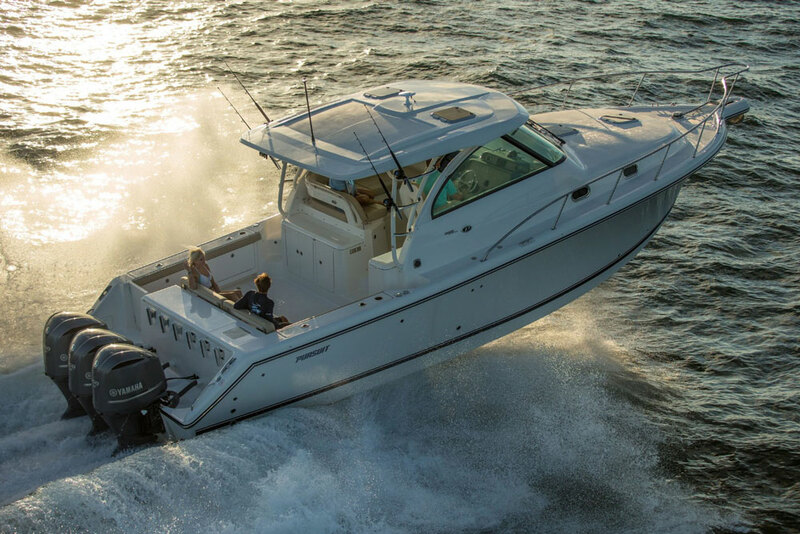 Four Winns and Monterey also have made available a number of options like towers and ballast systems that make its surf-geared runabouts even more versatile. Or are you looking for more of a day boat, something for cruising? It’s what one of my friends in the industry called a “go-to-dinner boat.” Your needs for that kind of boating will be more generic. For example, do you want a removable cooler or is a built-in refrigerator a must-have item? Do you want a Porta Potty or a more elaborate commode? Price also is a big consideration, as is standard equipment. 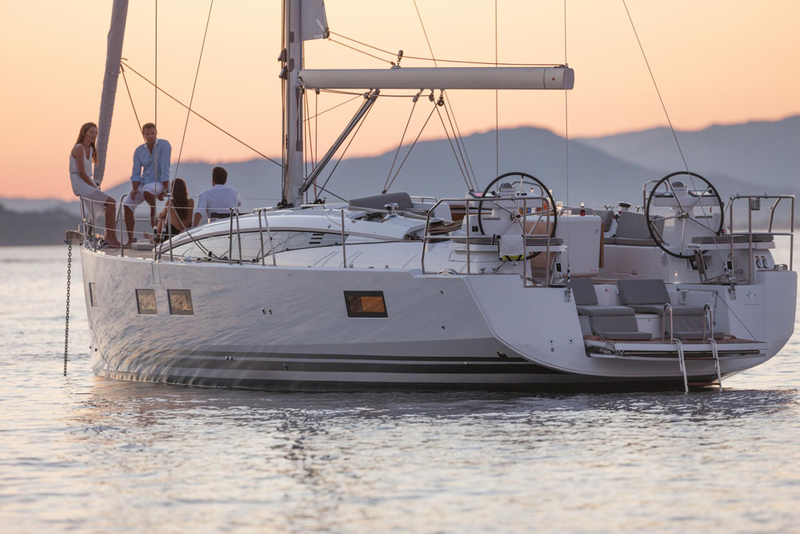 For instance, you’re always going to want a bimini top, and if a boat doesn’t come standard with one, you’re going to have to pay extra to get one. 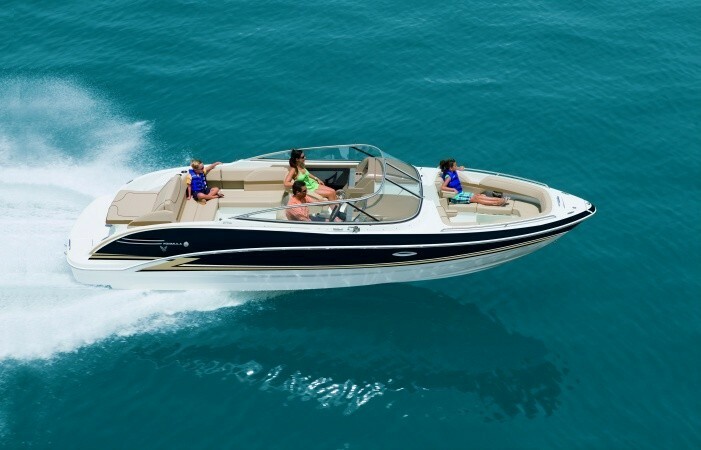 Rinker Boats are good examples of runabouts that come standard with a bimini. One of the main considerations has been a boat’s power and propulsion system, and today there are more choices than even a few years ago. It used be MerCruiser or Volvo-Penta, but nowadays outboard engines have enjoyed something of a renaissance in runabouts because of the design freedom and the maximization of interior space. The Regal 29 OBX is a great example and one of the early models to make use of outboard power. With outboard power, if you start getting close to 30 feet, you might want to go for twin engines. Outboard engines are making lots of horsepower these days, but they’re still relatively small in displacement, so they don’t make the big torque numbers of a sterndrive V6 or V8. The torque of an automotive V6 or V8 allows for the use of bigger propellers, which lets them get away with a single engine. Perhaps the most important tool, the most powerful and effective way to find the boat that meets your needs isn’t endless red-eye nights spent on Google searches. No, it’s boots on the ground at as many boat shows as you can stomach. You might think you like something, but until you step aboard it and feel it out, it’s hard to tell. You’ve got to see, feel and touch.